It’s nice to be surrounded by beautiful things, but it’s even better if those beautiful things don’t cost a fortune. We scoured Amazon for the most stylish items you can buy that also won’t break the bank. At these prices, you can probably snag more than one! 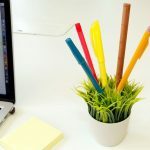 This faux grass pen holder is a perfect way to bring a little life to your desk without having to worry about watering it. It holds all manner of writing utensils and will probably make you smile every time you use it. Every kitchen should have a pop of red somewhere in it. If that pop of red also makes coffee for you, all the better! 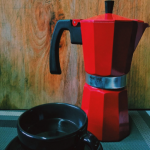 This percolator makes 6 espresso cups’ worth. Everybody makes mistakes. 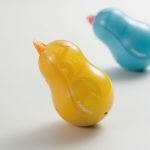 When you do, it’s best if you can cover them up with the help of an adorable bird that dispenses correction tape. This would look adorable on just about any desk in the world, no? 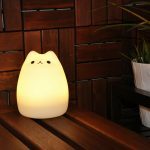 And speaking of adorable, how about this kitty nightlight?! Tap the silicone surface to switch between seven different colors. This would be perfect in a nursery! Need to prop up some books? 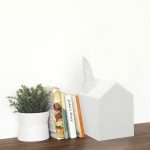 These bookends will do the heavy lifting for you. 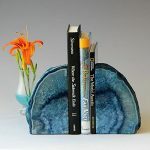 They have a gorgeous design that will make even the most casual reader look like a certified bibliophile. 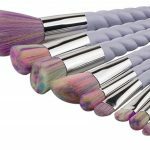 Twisty unicorn handles and rainbow bristles?! Yes, please! A set of 10 brushes can be yours for less than 10 bucks. 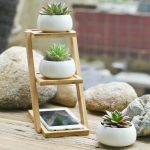 Place this bamboo stand (pots included!) in your kitchen and use one of the shelves to prop up your phone while you’re following a recipe! 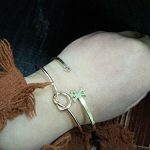 Whether you’re looking for bridesmaids gifts, a Mother’s Day gift, or just want one for yourself, this bracelet is super lovely and would look at home next to even your fanciest jewelry. And in case you are gifting it to someone, it arrives prepackaged in a gift box! Even tap water probably tastes magical when you’re drinking it out of a rainbow glass. 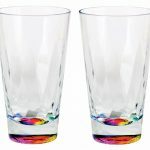 This listing is for a set of two tumblers. Having a lot of work to do can sometimes be a bit of a drag, but if you can cross those tasks off on a list that looks as classy as this one, that’s definitely a step up. 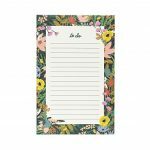 This pad includes 75 sheets — you can get a lot done with that! It has a built-in rechargeable battery, meaning you can put it on display without having to worry about any unsightly cords. There are two different levels of light you can switch between depending on your mood and the occasion. We love a good rose gold nail polish, and if includes sparkles, that’s even better. This nail polish is long-lasting, fast-drying, and cruelty-free, so there’s clearly a lot going for it. 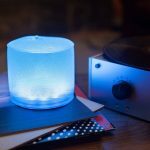 It’s solar powered and can last up to six hours on a single charge. It glows in eight different hues and also has a color-cycling mode if you can’t make up your mind. Having a few of these floating in your pool is a surefire way to take your pool party to the next level. Waking up with the alarm clock app on your phone is convenient, but it could mean that the very first thing you do every day is to scroll through your Instagram feed. 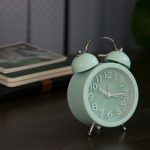 Put an end to that by opting for an actual alarm clock like this one. It doesn’t tick so it won’t bother even the lightest sleeper. 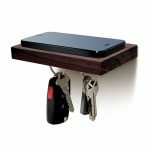 It has a powerful magnet embedded in it that can hold up to three heavy keychains. You can also put your phone on top of the shelf if you’d like. Once again, we love seeing that rose gold! The bristles on this brush are extra soft. It also comes with a convenient protective cover. 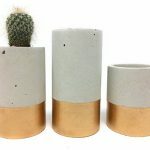 They’re ideal for succulents, cacti, or air plants. Also, they have cork padding on the bottom so they won’t scratch up whatever surface you place them on. 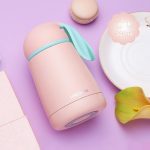 Its double-wall design will keep your cold beverages cold and your hot beverages hot. It’s also totally leak-proof so you won’t have to worry about it spilling in your bag. In daylight mode, it’s the perfect reading lamp with six cool white LED bulbs. In moonlight mode, it switches to a gentle, ambient light from six warm white LED bulbs. It’s battery powered so you can bring it wherever you most need it, regardless of outlet location. 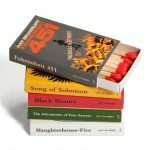 This listing is for a set of five decoration matchboxes, each decorated to look like a book that has been banned and containing 20 matches. Purchase of this tiny box set helps send books to a community in need! 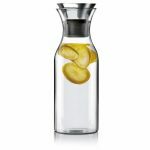 The carafe itself is made of glass, while the lid is made of stainless steel and silicone rubber. 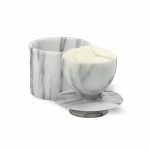 It can be used for just about any cold beverage, as well as for decanting and serving wine. 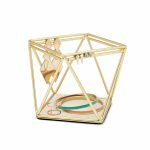 Its matte brass finish will make your jewelry look way better than it does shoved into a random bathroom drawer. Now you can enjoy looking at your favorite earrings even when you’re not wearing them. 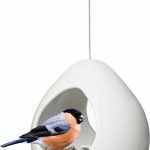 It’s made of white stoneware and comes with a stainless cord for easy hanging. 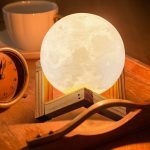 You could also use it as a tealight candle holder! Keep soft, spreadable butter on your counter at all times, with no fears of it going rancid! Simply place the butter in the bell-shaped lid and add about an inch of cold water to the crock. The water forms an airtight seal against the butter, and your butter is good to go whenever you need it. It also comes with six coordinating ribbon bookmarks, which is quite the luxury. 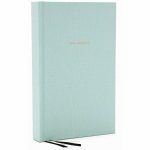 We can easily imagine this journal looking classy on a nightstand. Refrigerate or freeze it to decrease puffiness around your eyes, or put it in the microwave to soothe headaches, sinus pressure, or allergy congestion. The gel beads make it so the mask conforms to your face exactly. 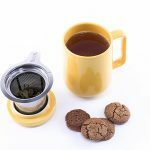 The ceramic mug includes a lid and a little infuser basket. When you’re done steeping your tea, the lid can be flipped over and used as a tiny coaster for the basket. It’s small enough that you can take it with you wherever you go — even in the car! 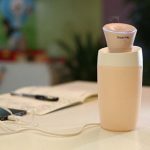 It plugs into any USB power source and includes a water cup for added stability. 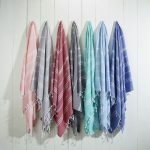 Even though they’re very thin and soft, people who use Turkish towels swear they’re just as absorbent as their terrycloth counterparts. 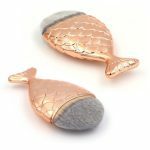 These ones come in several different colors to match any bathroom decor. And it’s less than $10! Place it over a tissue box and pull the tissues out of the chimney. 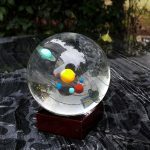 It’s whimsical and wonderful and everyone should have one. 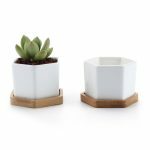 This pair of ceramic planters is the perfect size for holding succulents, cacti, or herbs. And a pair of them costs less than $10! Finally! A solution to earbud cords always tangling themselves up in knots! 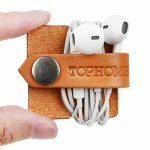 Just wrap the cord around this handy leather organizer and pop the entire thing in your pocket. 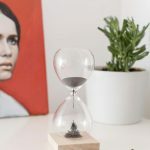 Why use regular old sand in an hourglass when magnetic sand is an option? As the sand drips from the top bell onto a hidden magnet in the hourglass base, it forms beautiful magnetic stalagmites. Everyone Loves Getting Mail. Especially If It Has a Fancy Wax Seal! Haven’t you always wanted to send a letter with a fancy wax seal? Now you can! 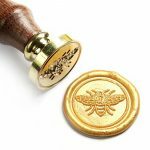 This beautifully detailed bee design stamp costs under $15! Simply take notes in your Rocketbook Wave and snap a picture using the app. Your notes are instantly uploaded to your favorite cloud service so you have access to them no matter where you are. 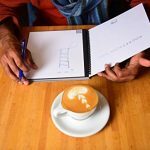 Once the notebook is filled with all of your brilliant notes (and they’re all in the cloud), you can pop the whole thing in the microwave to clear the pages and start all over again. Yes, you read that right. 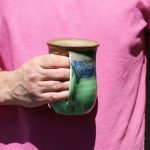 These mugs have built-in indents for your hand, making it easy to cozy up on the couch with your coffee (or hot chocolate!) in one hand and a good book in the other. Also available in left-handed designs!